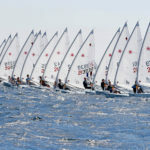 Last day of competition at the 2018 Laser Europa Cup ESP. Fortunately sun decided to visit Roses for the final races today, but wind was hesitating to be here until the afternoon. Around 13:00 a light breeze came in and sailors were sent to water to enjoy the last part of this European competition at Roses bay. 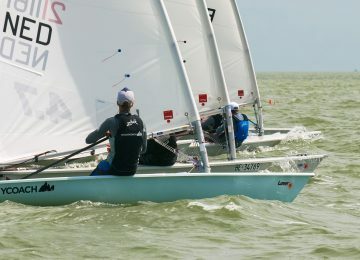 There were finally two new races for the Laser Standard and one for the Radial and 4.7. This way the Laser Standard fleet concluded championship with 8 races in 3 days, 7 for the Laser Radial and 6 for the Laser 4.7. 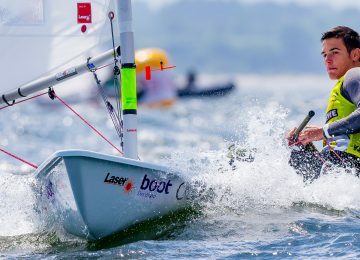 Swedish sailor Emil Bengston SWE (2-7-2-1-1-7-3-13) could manage a third place today on first race and crowned Laser Standard overall champion with 23 units. 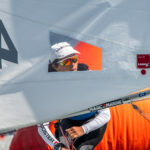 French sailor Alexandre Boite FRA (3-3-1-7-12-8-1-1) concluded championship in awesome shape winning both races and finishing first U21 and second overall, just one point behind champion. Canadian sailor Filliah Karim CAN (1-1-5-13-18-1-10-8) completed overall podium on third. Marcelo Cairo ESP (4-8-10-19-8-2-9-18) was first among U19 category and eighth overall. Finish young sailor Valtteri Uusitalo FIN (4-2-2-3-2-7-11) could hold the lead today and crowned both overall and U19 champion among the Laser Radial fleet with 20 points, followed by Women’s champion Elena Borobeva CRO (6-7-1-21-4-2-3), just 3 points behind. Third place overall and 2nd Women’s for Italian sailor Joyce Floridia ITA (7-3-17-1-5-6-4) with 26. Women’s third place was for Spanish Laura Oliva Vidal ESP, finishing fourth overall. 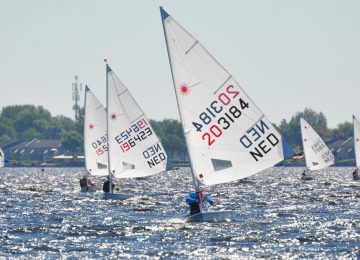 Dutch sailor Willem Wiersema NED was first among the U17 category and seventh overall. 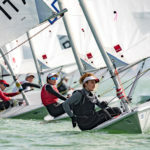 Italian sailors Marta Zattoni ITA and Giorgia Cingolani ITA were first among Women’s U19 and U17 respectively. 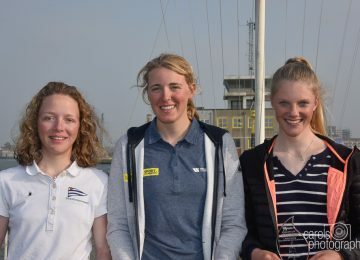 Dutch sailor Paul Hameeteman NED (1-1-14-6-BFD69-1) won the final race today and crowned finally overall, U16 and U18 champion among the Laser 4.7 fleet. Italian sailor Niccolo Nordera ITA (2-6-1-BFD69-6-22) was finally second overall, followed by 4.7 Women’s and Women’s U16 champion Alessia Palanti ITA (12-2-9-28-8-7) on third place overall. You can find much more information about this 2018 Laser Europa Cup ESP on our Facebook, Twitter, Instagram and YouTube accounts. 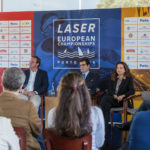 More information about the Laser Europa Cup here. 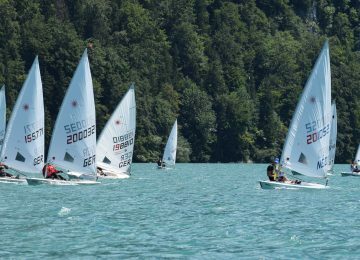 2018 Laser Europa Cup Trophy news. 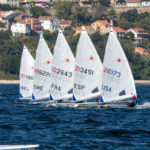 2018 Laser Europa Cup Trophy results. Texto y fotos: Agustín Argüelles | EurILCA – International Laser Class Association – European Region.